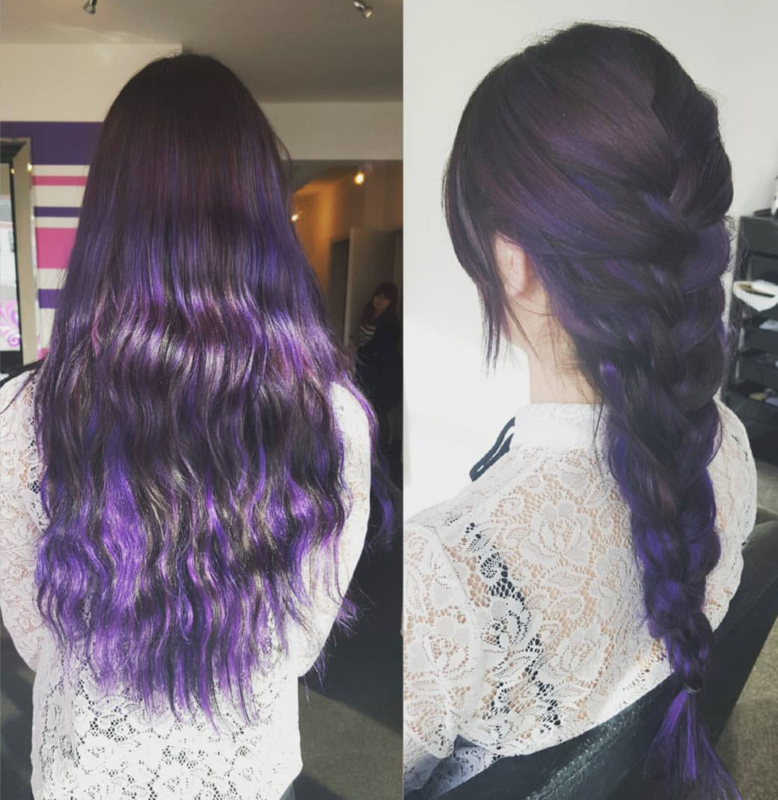 Should I Have Extensions? 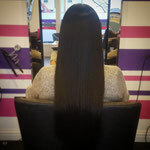 - Website of seventyfourhairandbeauty1! Here at the salon we carry out 2 types of extensions; Easylocks and Fusion Bonds. 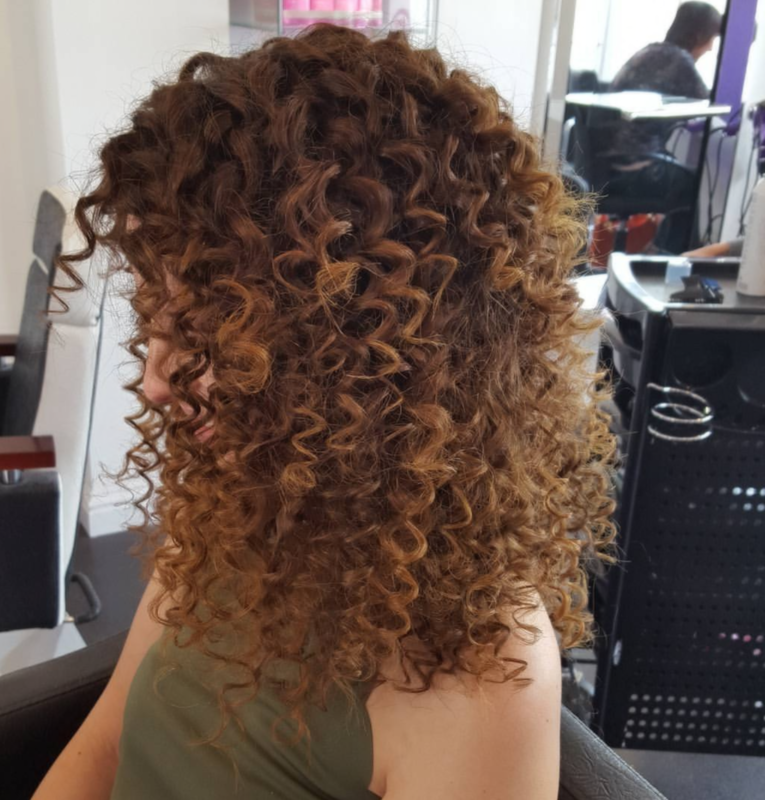 With Fusion bonds being the most popular with our clients. 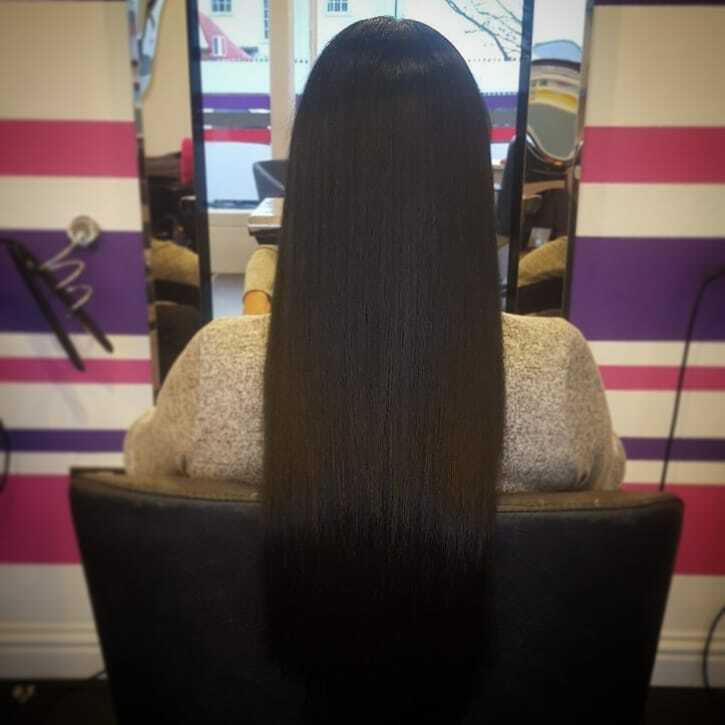 All extensions can be uncomfortable for the first few nights sleep as the bonds are close to the scalp and haven’t soften at all. If you can get passed this, you will be fine for the remaining time you have them in. 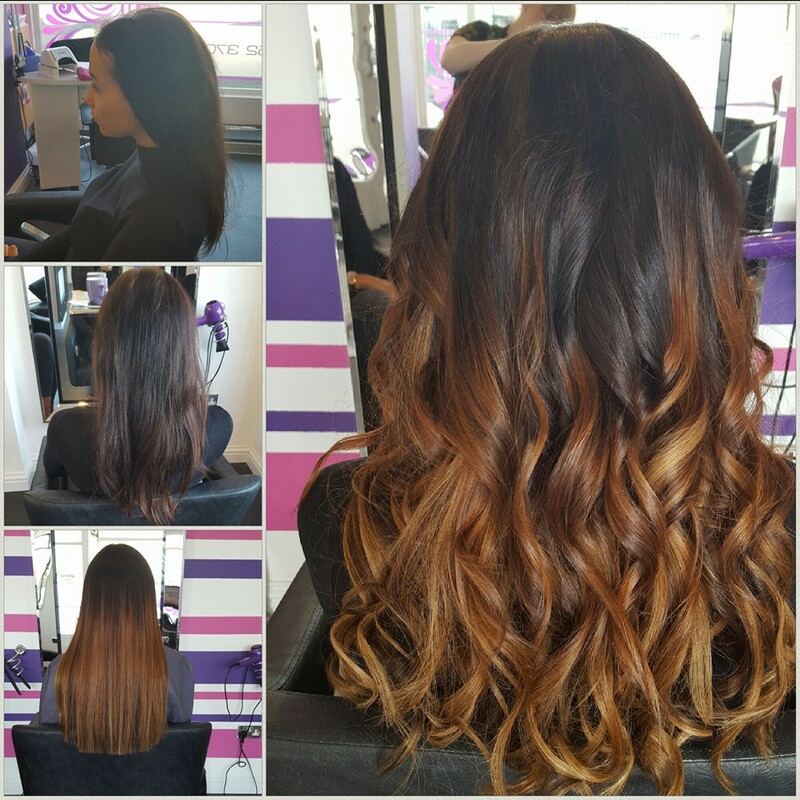 We use 2 different volumes of extensions in the hair, either a full head or half head. 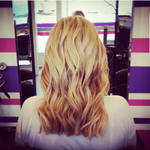 A full head creates both volume and length but if you are just looking for volume a half head may be sufficient. 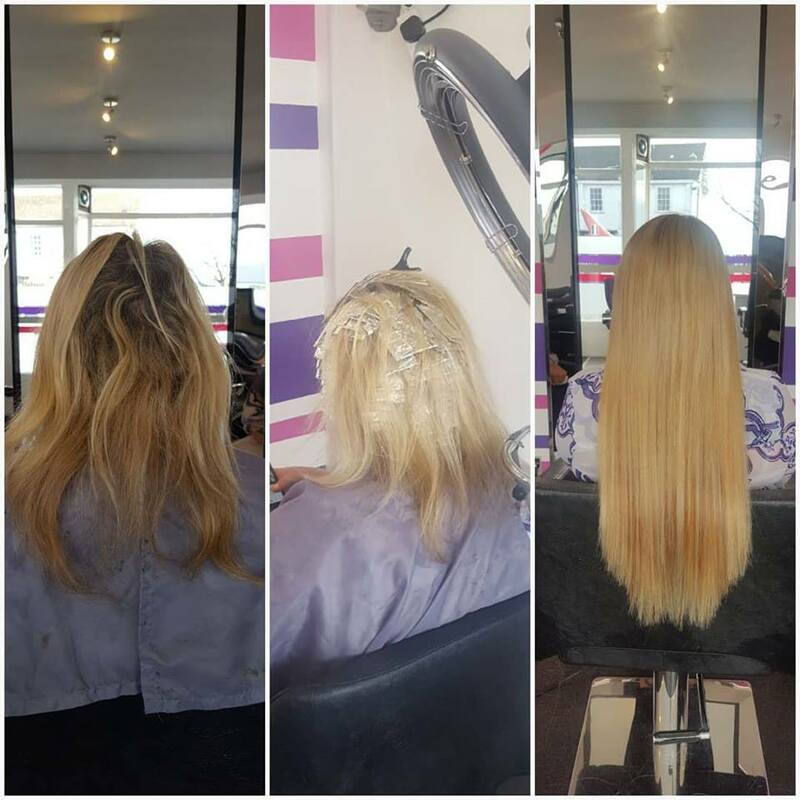 Extensions are not a magic wand, if you have bobbed hair you will not achieve a realistic waist length style but they can give you enough length giving your hair time to grow. 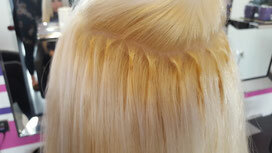 Blunt haircuts will need to be layered through to ensure the extension blend. 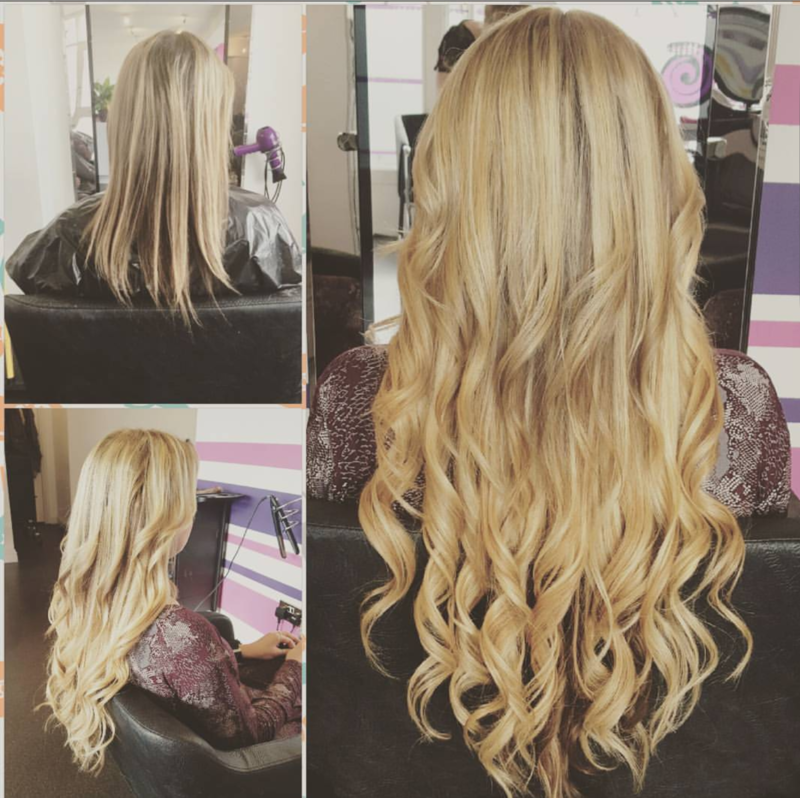 Extensions require effort from you at home to keep them in good condition and to avoid damage to your own hair. Firstly, you will need to purchase a few must have items including, a tangle teezer, a good serum or oil for moisture and some hairbands. 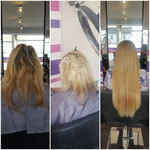 With all the above said the most beautiful hair can be created with extensions as you can see from the images below. If you are interested, you would need a consultation to ensure the correct colour is matched to your natural hair. 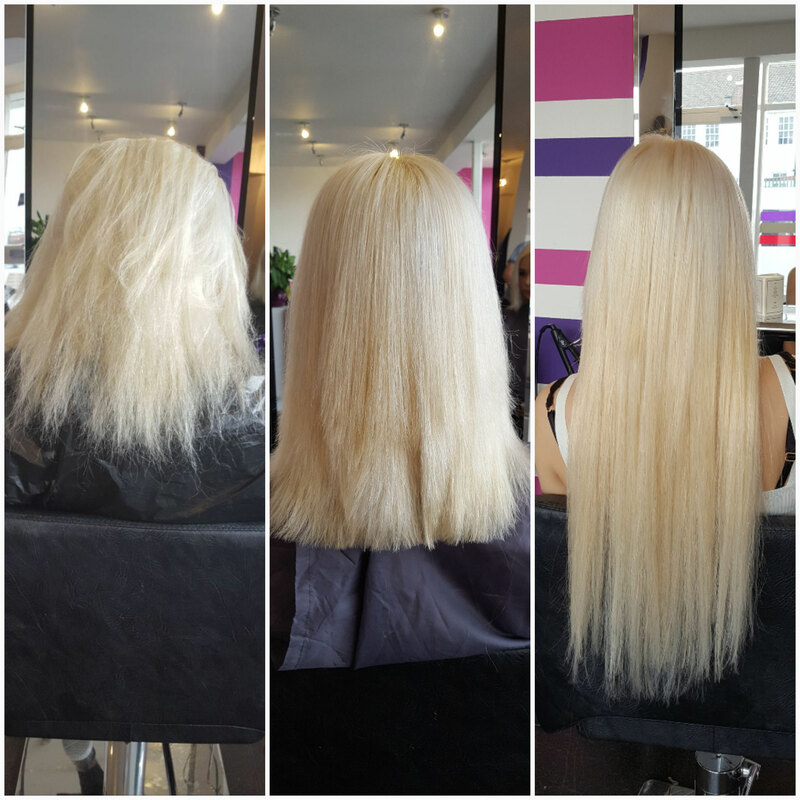 A fitting takes approximately 2 hours and a removal takes from an hour to an hour and a half. You should be warned the removal is not the most comfortable process but the better cared for they are the easier it will be. 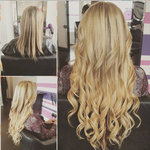 Extensions last around 3 to 5 months, again, this depends on how you look after them and how fast your hair grows. Do not be surprised if within this time a few extensions come lose and fall out, this is normal. I hope that all this info helps you decide if extensions are right for you and if they are how you can look after them.